We get a lot of tape through our doors, for the most part they are in good condition and do not require any attention prior to commencing the transfer process. We do get a fair amount of tapes that have not been cared for or have been damaged. All is not lost, in most instances we are able to recover video footage. The extent of the damage determines what can be recovered. 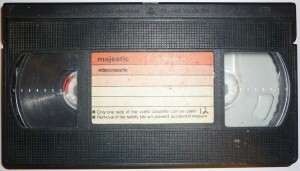 We also stock empty cassette casings for most popular video formats. The best part for you our customer is that we do not charge any labour fees for cassette repair or splicing, you only pay for cassette casings if required. 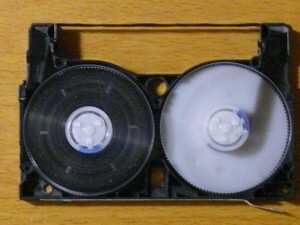 In some cases the actual magnetic tape is damaged and requires splicing. We use a range of professional splicing blocks and adhesive films designed for this purpose. 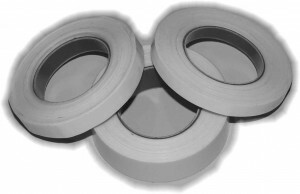 Normal adhesive tapes react with the magnetic tape and cause further damage. 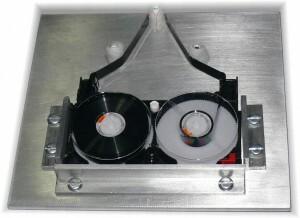 We have custom built tape jigs to assist with tape cleaning and preparation. 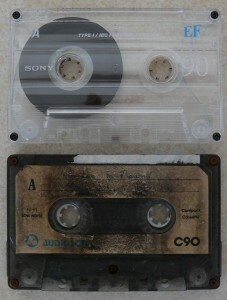 Moldy tapes are our most common issue. We use various methods to clean and prepare the tape prior to running in our machinery. In extreme cases we “bake” the cassettes at constant temperature and humidity levels removing excess moisture and preparing the tape for transfer. 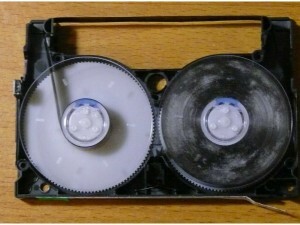 A typical moldy VHS tape before and after our cleaning process. We recovered everything from this cassette. 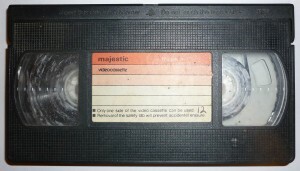 This is a typical example of a Hi8 video cassette with mold on the edges. 8mm tape is particularly difficult to deal with as it is very thin and tears very easily. In extreme cases we manually rewind each meter of tape and in doing so remove the bulk of the mold. If the mold has been on the tapes for a prolonged period it can get between the tape layers and cause the tape to stick together and in some cases it will tear. We use a custom made 8mm tape splicing block to perform a splice point that does not cause the playback deck to jam. This audio cassettetape was damaged in a house fire, we removed the tape from the damaged casing and inserted it into a new casing, we managed to recover everything from this audio cassette. Contact us today to arrange the transfer of your video and audio tapes to DVD or digital files.